A professional alternative to buttons and touch-tape. Made from polyacetal resin, our industrial strength snap fasteners provide a professional finish. 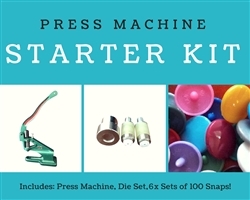 Our professional snap press machines are easy to operate and durable. Our hand press machine is the highest quality machine KAM produce. 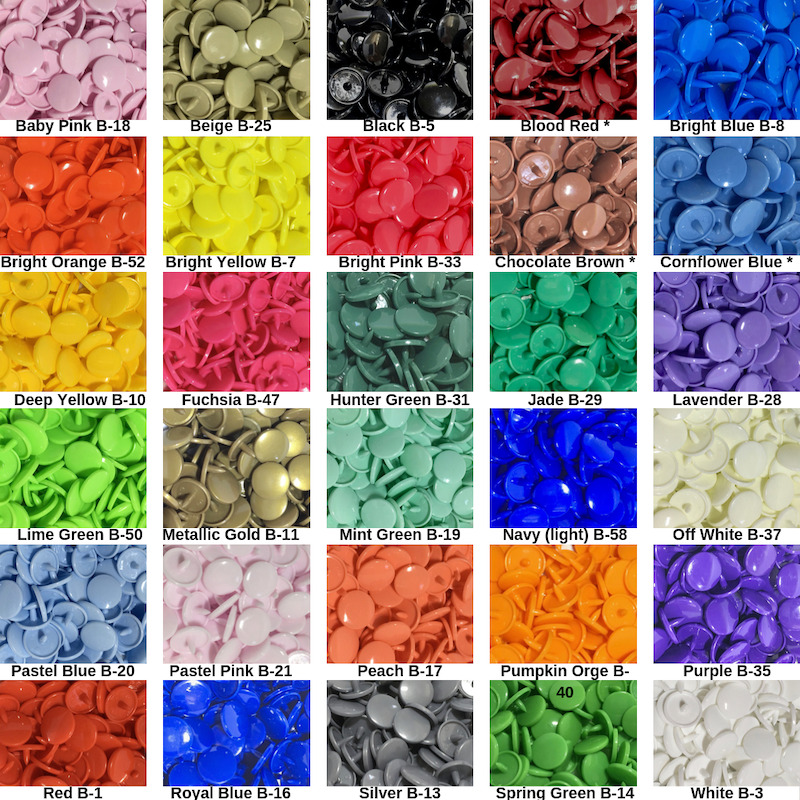 Industrial strength polyacetal resin. 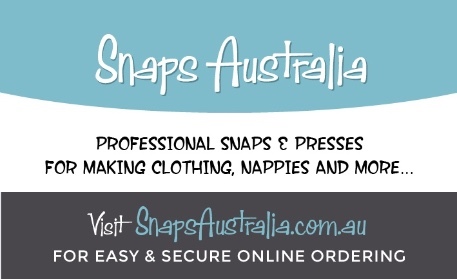 Snaps are perfect for clothing, cloth nappies, quilt covers, upholstery and much more... Able to withstand high temperature and they won't rust! You will require a press machine or pliers to apply them. Bamboo fabric is exceptionally absorbent and luxuriously soft. Perfect for absorber layers in nappies and bibs. PUL is a popular fabric as the waterproof outer layer of nappies, training pants, bibs, cot sheets, incontinence and menstrual products. It is has a waterproof, breathable membrane and is custom made to be durable hospital grade.